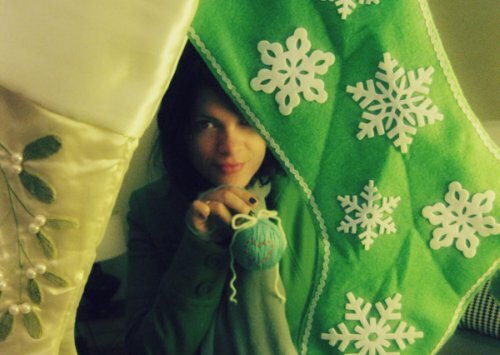 Here's a secret, I have a lot of yarn for a girl who isn't a knitter, a crocheter, or any kind of fiber artist. Studio Lune workshops have blessed me with some knowledge to try both of the above out, and I'm struggling through with a scarf that looks like some kind of organic, mossy tentacle. If it gets long enough, I think it may look kind of abstract or intentional (but if in the future you see me trying to pass my technique off as this, call my bluff!). A package of stick pins or map pins (I used red map pins, they are shorter than sewing pins). 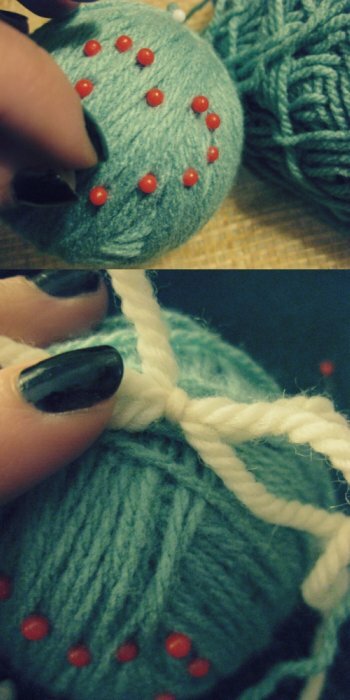 Hold your yarn with a finger and begin to wrap evenly around the styro form. I wrapped gradually around the ball in one direction, then made a little right angle (holding with my fingertip) and began wrapping the other way. When your ball starts to look like a football, you know it's time to change directions. It'll even out. 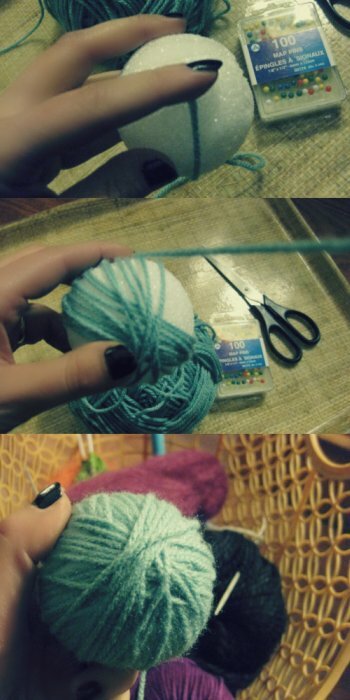 Once you're pleased with your "faux interior" ball of yarn, stick a pin at the top to hold down your yarn end. Loop your end big enough to fit over a branch and dab a bit of hot glue at this point. This will make your loop more sturdy, but I skipped this step (eep. out of hot glue of course). Time to make a shape. I made a red heart with my map pins, and positioned as much as I wanted until the shape was just right. The good thing about map pins is that they are shorter and won't rip up your styro as much as longer pins will when you reposition them. 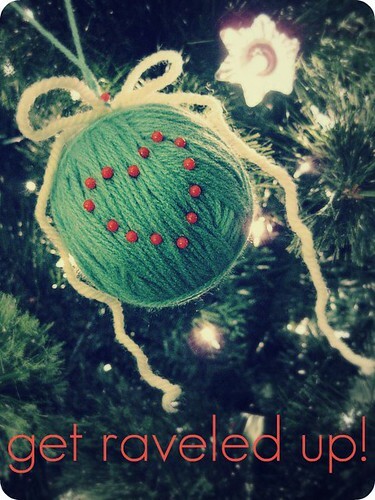 Try out initials, stripes, and other shapes to decorate your yarn ball! To finish, make a bow out of contrasting yarn, and pin to the top of your ball to cover the dab of glue and make things pretty. There you go, easy peasy! Let me know if you try this one out!